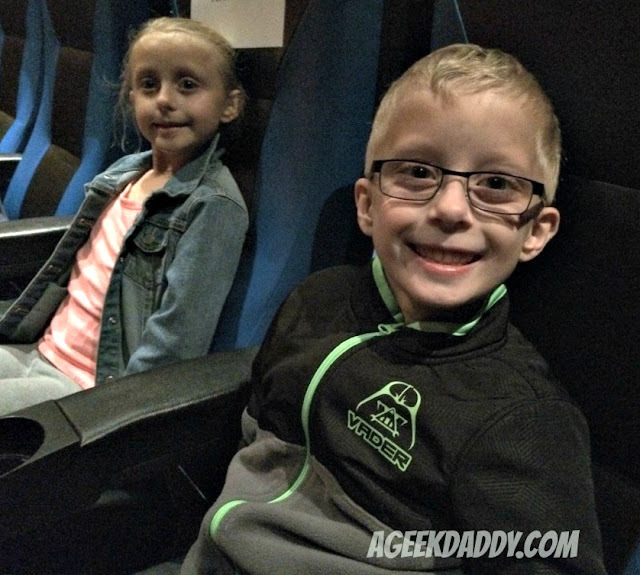 Our family really enjoyed the opportunity to attend an advance showing of Gramercy Pictures' RATCHET & CLANK -- THE MOVIE which will be arriving in theaters across the United States on Friday, April 29, 2016. The movie is based upon the highly popular RATCHET & CLANK video game franchise by Insomniac Games for the Sony Playstation gaming consoles. You don't have to worry about not having played the video games as the movie is likeable without having done so, but the film does include numerous references to Playstation's RATCHET & CLANK that gamers who are fans of the franchise will appreciate. My kids have never played any of the RATCHET & CLANK video games and just thought of the film as a new animated sci-fi adventure / comedy to go see. If your children have enjoyed movies in the genre of Escape from Planet Earth, Home, and Monsters vs Aliens, they'll appreciate seeing RATCHET & CLANK. 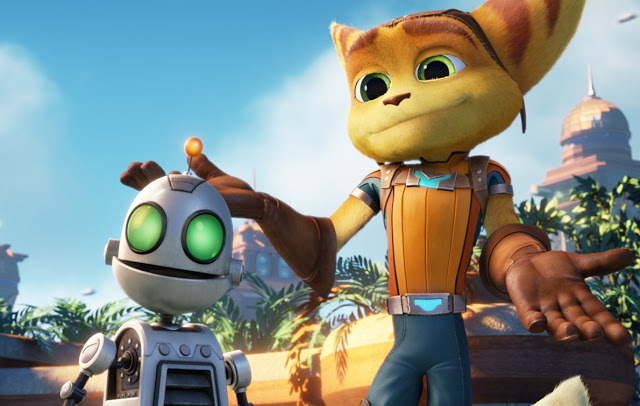 The movie is named after two unlikely heroes, Ratchet and Clank, struggling to stop the vile Chairman Drek from destroying every planet in the Solana Galaxy. Ratchet is the last of his kind, a foolhardy "lombax" who has grown up alone on a backwater planet with no family of his own. James Arnold Taylor (Obi-Wan Kenobi in the Star Wars: Clone Wars television series) who has voiced Ratchet in several of the sequels to the original RATCHET & CLANK video game that was released in 2002 also portrays the character in this motion picture. Ratchet likes to tinker with gadgets and vehicles but his results don't always turn out as expected leading to high jinks and trouble. Clank, who has been voiced by David Kayes in all of the video games plus this new movie, is a pint-sized robot with more brains than brawn. When the two stumble upon the villainous plot of Chairman Drek they attempt to warn a team of colorful heroes known as The Galactic Rangers and in the process join the group in an effort to save the galaxy. Through their adventures Ratchet and Clank learn about heroism, friendship and the importance of discovering your own self identity. The movie also features some well know actors voicing characters. These include Paul Giamatti as Chairman Drek, John Goodman as Ratchet's mentor Grimroth, and Sylvestor Stallone as Victor Von Ion the villainous robotic lieutenant to Chairman Drek. A popular aspect of the RATCHET & CLANK video games are the variety of odd weapons that players can utilize. The movie embraces this element of the games with humorous situations throughout involving weird and wacky weapons. My daughter's favorite scene in the movie is when a character is shot with a ray gun which transforms people into sheep. She thought that was hilarious! With that thought in mind, check out the free RATCHET & CLANK online Sheepinator game which allows kids to turn evil Blargians into sheep and lets adults combat Internet negativity by turning mean tweets into sheep (click on the highlighted links for each of those respective games). When it comes to funny moments my son preferred the scene when the Galactic Rangers are trying to teach Ratchet how to use their arsenal of weapons which the young lombax just doesn't seem to get a grasp for using. For those who may have missed out on playing the video games in the RATCHET & CLANK Playstation franchise, Insomniac Games will be releasing a re-imagined version of the original Ratchet & Clank game for the Playstation 4 in conjunction with the release of the movie. 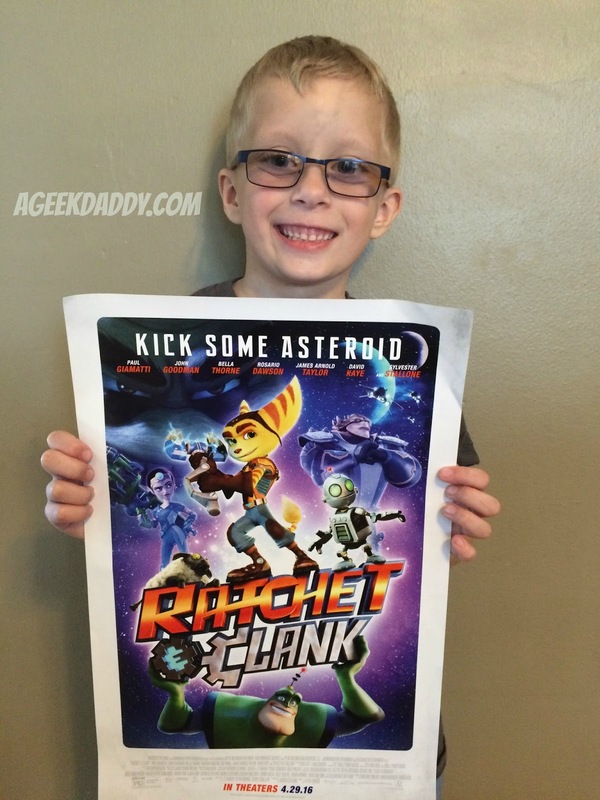 CLICK HERE for more information about the newest Ratchet & Clank video game for PS4. I like the idea of turning bad guys and mean Tweets into sheep! I'm sure my grandchildren are waiting on this movie to come out. I'll have to ask them about the game. My kids will surely love this. Amazing animation for sure. A must see!